With several rounds of violence near its borders, a host of charges brought against the country's Prime Minister, and the first win in two decades in the Eurovision song context, 2018 was far from boring in Israel. None of these events made it to the list of hashtags most often used by Israelis on Twitter in 2018. The most popular hashtag in Israel in 2018 was #iheartawards, associated with a music awards show by New York-based online radio company iHeartMedia Inc. 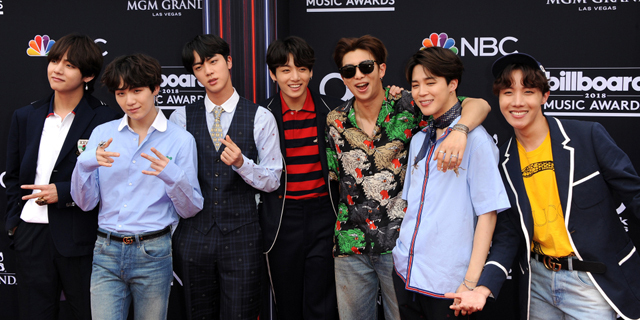 The award for "Best Fan Army" went to the fans of K-Pop boy band BTS. According to data released by Twitter Wednesday, the three remaining slots in the four top hashtags used by Israelis in 2018: #BestFanArmy, #BTS, and #BTSArmy. The group’s official Twitter handle @BTS_twt gained the most Israeli followers in 2018. The twitter handle of K-Pop group EXO trailed closely behind.